Blackjack Double Down – What Does it Mean to Double Down? Double Down? So what does Double Down mean in Blackjack and why is it such a popular strategy? In short, it is bumping up your initial bet by 100% and staying in the game after only receiving one more card. 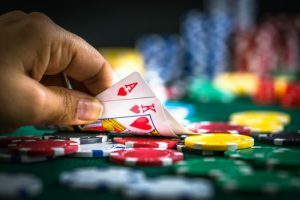 It might seem like a risky strategy and for some doubling their winnings is the main motivator, but there can be some good reasons behind such a bold move. 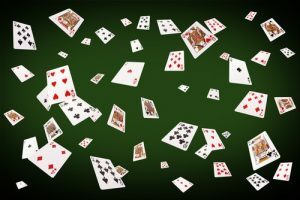 The beauty about Blackjack Double Down is that there are some useful and well defined rules based on mathematical probability and tested by generations of players. That said, the calculability of a hand’s success is not a guarantee of its profitability, nor does it rob the game of its excitement. Firstly, however green you are to Blackjack, we can all agree that the highest number you can sensibly get is 21. Secondly, we’re out to beat the dealer, either by having the higher value hand, or watching them go bust. From there on in it’s a case of using statistics to your advantage. This means that whenever you’ve drawn one of the lower 6 cards, there remains a high statistical probability that the remaining cards are all more likely to be a help rather than a hindrance. Equally, when the dealer draws a 4; 5; or 6, they are statistically more likely to go bust. It therefore seems quite reasonable that when these two scenarios are in play, Blackjack Double Down may well be a good payoff. Sadly, many players can become a little hyper focused, looking at only the dealers hand or their own and basing their decision to Double Down on that one factor. For example, many players will draw a 9 and Double Down if the dealer has anything other than a 10. This is strategically flawed and will lead to a significant loss over time. The other ill-judged manoeuvre is for a player to split a pair of 5’s, which in itself is a risk. A sensible rule here is to keep them together and treat them like a 10. That way you stand a better chance when Doubling Down. Rules can vary slightly between casinos, but generally Doubling Down can be used after the player draws their first two cards. Some venues, both online and real-world allow Doubling Down on a Blackjack, whilst others can restrict its use to totals of 9; 10; or 11. Wherever you play, make sure you know the house rules before you play. Where it is permitted, splitting a hand into a pair and then doubling down can be useful, but as already mentioned, use this with caution. Once you have signalled your intention to Double Down, you place your wager. Normally this is 100% your original bet, though some casinos will allow a less-than-double additional wager. Once you have signalled your intention to Double Down, or simply pressed the relevant button in an online casino, only one more card can be drawn for the player, and they are committed to play. How to Double Down in Blackjack? Plenty of rookies have come unstuck, learning the various strategies for making a good Blackjack Double Down play, but not paying attention to its execution. Etiquette and protocol are a must if you’re not going to spoil the atmosphere at the table. Thankfully online gaming has made the embarrassment from a faux pas less of weighty on the ego, however, you could still miss out if you don’t know when to make the right move. In short, most games expect the Double Down to be executed immediately after being dealt their second card. If you accidentally hit, you’ll miss your chance and that would really be a shame. The question of when to double down in Blackjack is one that was answered back in the 1950’s when Magician John Scarne took the time to work out the mathematics behind the King of Casino games, Blackjack. His work, published in a book ‘Scarne’s New Complete Guide to Gambling’ described the odds and various plays to be able to make the best possible calls. The amazing thing about his work is that it still stands true today, with the mathematics and odds transcending time and permeating every Blackjack table in the world. Today there are many Blackjack Double Down charts that simplify the learning process so that committed players can memorise the best plays. When to double in blackjack is one of the most asked questions about the game. The best advice originates mainly from John Scarne’s work and has been published and republished in various forms. However, a problem arises whenever that advice is shortened or misquoted. For example, if the player has drawn 11, they should Double Down, or so the rule says. In reality, there are factors that can influence the probability of this being a successful strategy. The main one being what cards are left in the deck. Now this question is mainly one reserved for card counters who are able to discern whether the remaining deck is negative heavy, i.e. full of low cards, or not. In this case, Doubling Down could be risky, especially if the dealer is showing a 10 or higher. In contrast, where the remaining deck is positive, the player can be assured of more 10’s and above in the pack and has the option to play more hands that could result in a 20 or 21. For those without that card counting knowhow, it’s usually a good strategy to stick to Doubling Down whenever you have an 11. What are Hard and Soft Hands then? This primarily depends on what the dealer’s hand is showing. Using the Rule of 9 can offer some guidance. This is where the Player has drawn an Ace and any card from 2 to 7. Where the player’s ‘number’ card and the dealer’s up-card sum up to 9 or more, the player should Double Down. Two important exceptions to this rule should be heeded. The first is where the dealer’s up-card shows an Ace, the obvious reason being its ability to be played as its lower denomination. The second is to never Double Down in Blackjack when the deal’s up-card is a 7 or above, again, the odds are not with you. So don’t do it! There are so many opportunities to Double Down it can feel like you can do it any time, but the reality is that you should choose your moment wisely. When you have a hard 11, always Double Down, it’s too good to miss. You can also take a fairly good risk with a hard total of 10, but don’t ever try it when the dealer has a 10 or an Ace. Many casinos allow a player to Double Down after they have split their hand. Here the rule is simple, where you have a pair of 5’s don’t touch them. Treat them like any other 10 and if the dealer’s hand is 9 or less, you would be wise to double down. Any other cards and splitting may be a sensible option. The dealer’s hand is key to knowing how to play your own hand, and thankfully there are some statistics on the bust rates for a dealer’s cards. For example, a Deuce or Three have just under 40% chance of seeing the dealer go bust. Whilst a 4; 5 or 6 raise that probability to just over 40%. Meanwhile a 7; 8; 9 or 10 only have a roughly 23% chance of working in the player’s favour whilst the Ace gives a dismally low 17% chance of seeing the dealer fail. These figures can give hope to a player, especially when they know they also have a favourable hand, and underlines the premise of being fore warned is being fore armed! There are unfortunately occasions where a player is unable to Double Down, despite all the signs that it is a good move to make. One may be the house rules as we mentioned before. One piece of advice from the experts is that whenever you find yourself with a soft hand, i.e. a hand with an Ace, then it is usually more prudent to hit rather than go for the Double Down. We’ve already mentioned the propensity for some players to find themselves with a 9 and to jump down the Double Down hole if the dealer has anything other than a 10. This is flawed thinking. This idea comes from a very valid play in games where you draw a Hard 9. The important thing to remember is that this has to be in conjunction with when the dealer draws anything lower than a 7, excluding the Ace. Ultimately, this is a question reserved for the player, but there are two important rules that may help. The first is never, and this cannot be stressed enough, NEVER Double Down with an additional bet of less than 100%. The whole aim of the play is to maximise on the odds that sit in your favour, so to bet anything less than the maximum allowed is a waste. Secondly, if the prospect of doubling your bet at a table makes you sweat, even though you know the mathematics is on your side, then you should probably be at a table with lower stakes! Out of all the pieces of advice, there are probably three plays which give the player the best advantage against the dealer. The first of those is the Hard 9 which we’ve already mentioned. This is an excellent play with a very good chance of success. The second is a similar Hard 10 or 11. Again these should be used against a lower draw from the dealer. As long as the hand is not made up with an Ace and the dealer’s hand is lower than yours, Doubling Down is a good move to make. The third of our Top Three is a Soft 16 to 18. As with the previous two hands we’re looking for the dealer to have a low draw. As long as they have anything from 2 to 6 then Doubling Down is going to position the player favourably against the dealer. 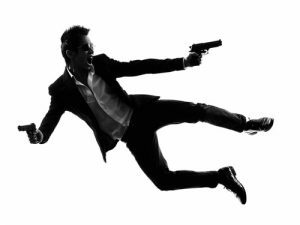 Doubling Down can seem like an unnecessary risk, and it is true that doing it can make or break your time at the table. However, the strategies and rules for identifying the best times to Double Down are tried and tested. While you may stand to lose more money on each individual attempt, in the long term, Doubling Down is a sensible strategy as the rewards will more than make up for time you take to practice the techniques above. 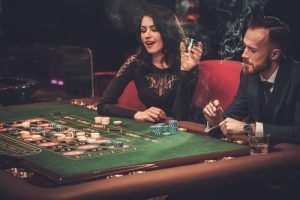 Just remember to know the Double Down rules of the casino you’re in as they are likely to place some restrictions on which of the techniques you can use. This way you can pick the casino with the most favorable rules, and have more opportunity to see and make those Double Down plays. There are loads of amazing online casinos to choose from, you could play now at 21Dukes Casino (T&Cs apply. 18+) or Exclusive Bet (T&Cs apply. 18+) to name just two of our favs!